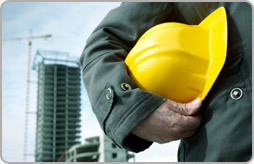 At PLS Construction we pride ourselves on our commitment to our clients and employees and the vital role that safety and training play in a successful operation. That commitment includes more than just the assurance that our employees are working in a safe environment; it also includes their professional development, more specifically, the training required to become more proficient at their responsibilities and subsequently, to advance within the company. PLS Construction is a member of ISNetworld, PEC Premier and PICS safety consortiums. Each PLS employee must complete Basic Safety Training from area-specific sites, as well as complete a Basic Refresher Course annually.